I can’t remember how we found Amber, but we are very glad we did! We have used Amber has our pet sitter for 5 years now. We were going on an overseas holiday and had to leave our four dogs (Dots,Percy,Sidney, cocker spaniels, and Pebble, jack russell) for the first time. Putting them in kennels was not an option and so we were keen to find someone who would look after them in our house while we were away. We met with Amber a few months before we were due to go on holiday and immediately could tell she is a very capable lady – and the dogs loved her, so the decision was very easy to make. Amber did a fantastic job and when we returned home, the house was immaculate and the dogs had been beautifully looked after. Amber is very competent and very likeable (as confirmed by our neighbours!) and we would have absolutely no hesitation in recommending her. We have Pigs, Cows, Horses, Chickens, Ducks, 7 dogs and 2 cats so in the past, going away was extremely difficult. Since Amber started to sit for us, going away is enjoyable again. It is such a relief knowing you can go on holiday and everything is well looked after. Nothing is too much trouble for Amber. Amber looks after the house and animals so well that when we return, the dogs are more interested in going for a walk with Amber than they are to see us!!!. I have absolutely no hesitation in recommending the house and pet sitting service provided by Amber Morris. I feel very lucky that I found her website when desperately searching for someone responsible to house, horse and cat sit while I was away on business for 2 weeks. After an initial visit to meet the animals and find out what would be needed, fortunately Amber agreed to come and house sit. I can honestly say that she looked after my 2 mares and their 2 spirited foals as well as my 3 Siamese cats – two of them young and energetic, one elderly and not in the best of health – to perfection. There were no hidden costs and the house was cleaner and tidier when I came home than when I left. Amber is intelligent, reliable, trustworthy, extremely good with the animals and nothing was too much trouble for her. I really enjoyed receiving the photos she emailed to me while I was away, and she clearly takes pride in ensuring that everything asked of her, and more, is done to the highest standard. She is an absolute gem and I certainly hope she will be available again the next time I have to go away. As we travel on a regular basis it is essential to have someone reliable, flexible, and that we fully trust in our home. Amber has house sat for us for just over 6 years now, and has never let us down. We have two Rhodesian Ridgebacks and two Pugs who are always looked after to a very high standard. Returning to a clean and tidy house with happy dogs makes going away a pleasure. 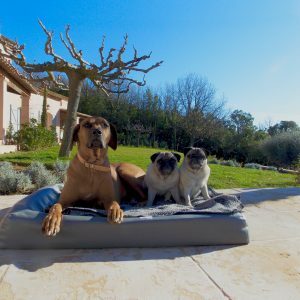 Amber has also driven to the South of France to collect our two pugs for us when we were unable to do so, and has pet sat for us in France on many ocassions. Amber has also driven our vehicle out to us in France many times, and has also driven the vehicle back to the UK for its MOT. Thus demonstrating her versatility, flexibility and total reliability. We would highly recommend Amber, her first class service is second to none! Amber looked after our horse, rescue pony, 2 elderly cats and very elderly German Shepherd dog, who requires a great deal of care. Amber is very knowledgeable, very caring and patient. Whilst we were away for 10 days we had complete peace of mind that our home and animals were in really capable hands which allowed us to enjoy our break without worrying. All our animals and our home were immaculate on our return. Definitely 10/10! Amber Morris has been my Pet and house sitter for the past two years and I have to say that she has been the best by far. Amber is extremely professional and insists in meeting new and potential future clients prior to a house sit which I believe is an absolute must as both Amber and client have to get on and above all else the animal contingent in my family have to get on with the pet sitter. Thankfully my labrador Ruby adores Amber. Amber is reliable in every way possible and she will even go that extra mile at no extra charge, offering to mow the lawn for us. She also leaves the house clean and tidy and in order. Finding a good, reliable and honest house/pet sitter is a gamble but I am thrilled to say we have found a true gem and although reluctant to pass on her details because we want to keep her for ourselves I have to say I have recommended her highly to my neighbours a recommendation I may live to regret if I am unable to book her myself. I have no hesitation whatsoever in providing this testimonial for Amber Morris. I recommend her highly as does my labrador Ruby. Amber has helped us on numerous occasions, taking care of our horses, cat, dog, tortoise and of course the house! 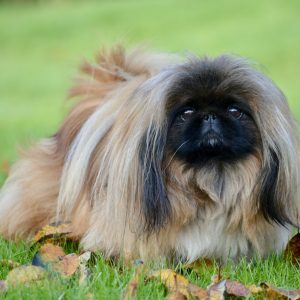 Everything Amber does is to an exceptionally high standard and we have no worries at all about leaving her in charge of our animals and our home. We wouldn't hesitate to recommend Amber to anyone! We can't recommend Amber Morris highly enough for her house and pet sitting service. She is a person you can trust and it is very reassuring to know that the house and pets are being looked after by such a capable person. Her friendliness and calm disposition really gives you the confidence you want when you leave your home and pets. She has looked after our small holding, 2 horses, 4 dogs over the last 3 years. The animals adore her and were all very happy when we returned and hardly noticed we had been away and the house was spotless. We highly recommend Amber's pet and home sitting service and have already booked our holiday dates in for next year. We never worry about going away. We know you will always take good care of our house, vegetable garden and animals. We live in a remote house in the middle of a forest. We have 2 dogs, 2 cats, 2 donkeys, 1 goat, 11 sheep and 15 various poultry. It was unbelievably difficult to find someone to take care of our small holding, who was genuinely competent and capable. So your consistent reliability, flexibility and efficiency are highly valued. We have two cats that are very much part of our family & like children to us. We wanted a house sitter who would care for the cats in the manner to which they have become accustomed. When we return not only do our cats look very well, but appeared not to have missed us at all. Not only that, our home is well cared for too, neat and tidy just as we had left it. We miss Piskie and Merlin so much when we are away, but we know they will be very well loved in our absence. Amber has been caring for our cats, home, and garden now for 10 years, so reassuring to have someone incredibly reliable, dependable, and trustworthy.